Author: Hill, Donna Set In . . .
Tess McDonald is a high-priced madam running a lucrative call girl service, and whatever she wants is less than a phone call away. Life can't get much better for Nikki Perez. 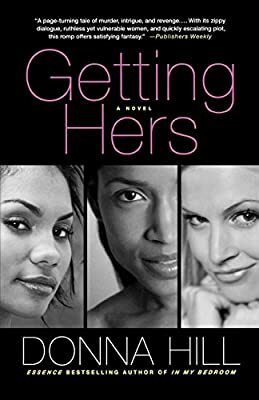 She's young, beautiful, has one of the finest and most notorious men in the neighborhood in her bed, gets to ride in fast cars (before she strips them down), and is making more money than she ever dreamed of. Kim Sheppard is at the pinnacle of corporate success. She is the envy of men and women alike, with a handsome husband, a beautiful home, and a secret lover on the side. Then Tess loses her business and everything she's worked for, Nikki is convicted of a crime she didn't commit, and Kim is accused of corporate theft, potentially at risk of losing her fortune and her reputation. Fate truly intercedes when they meet in, of all places, their doctor's office. And from that day forward, they form a unique alliance. Not only will they bond together to reclaim what they've lost, but in each other, they'll discover what they'd been searching for all along.